Modest in appearance, does not make a show but is always ready to be useful. 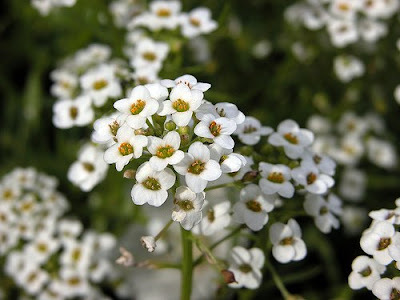 Small rounded compact heads of mildly fragrant tiny white four-petalled flowers. A long-blooming perennial herb with linear leaves, usually grown as a low compact annual. Is solid and resistant, fearing neither inclemency nor the cold. 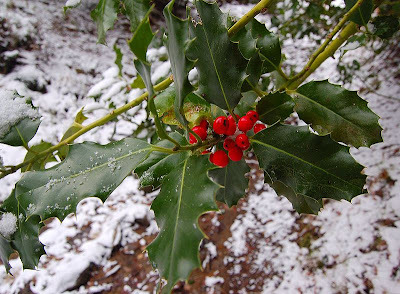 Shrubs or trees with tiny white rotate flowers borne singly or in axillary cymes, shiny red berries and stiff glossy evergreen, often toothed or spiny leaves. Likes to show off a little, but is very useful. 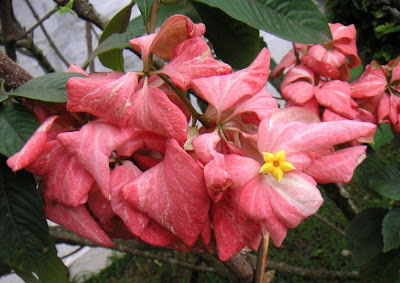 Small lemon yellow or yellow funnel-shaped flower with five petals embossed with a star; the base of the flower is surrounded by one to five conspicuous sepals of various forms and sizes in cream white, pink or red which form the attractive part of the flower; borne in sparse terminal clusters. 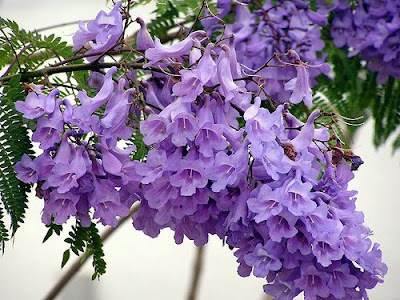 An erect decorative shrub. Each does what it can. 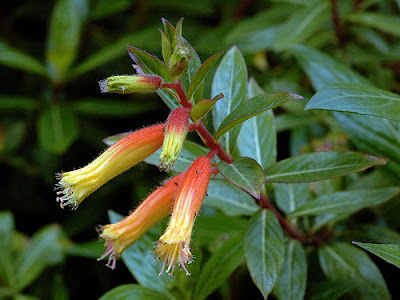 Small cream yellow tubular flower tinged orange at the base, borne in leafy terminal racemes. A many-stemmed subshrub with lanceolate leaves.